Winston! What to say about this lovely boy?! 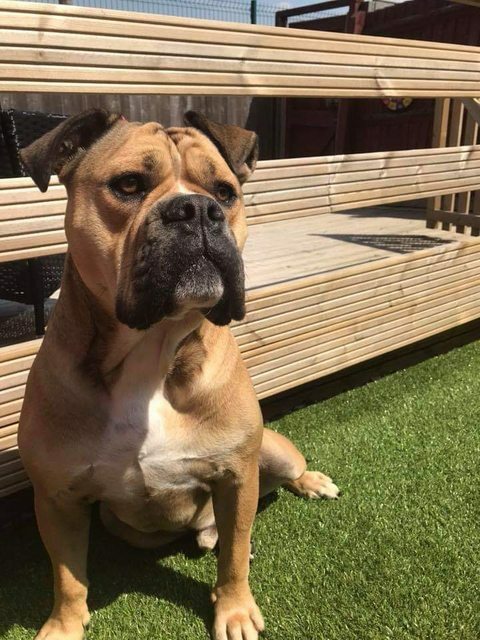 He’s 3 years old male Bulldog Cross, good with other dogs and cats. Has been fab around children but given his size and breed we are only considering kids 10+. 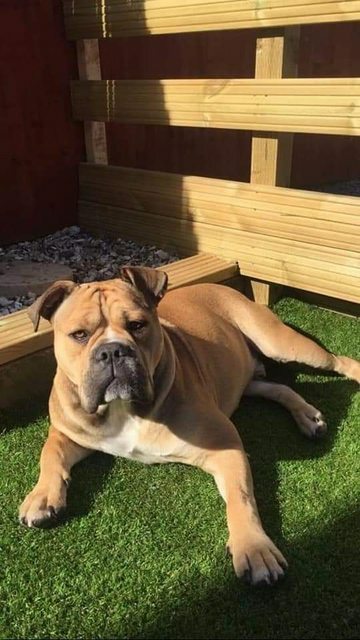 He’s a stunning Bulldog cross boy with typical stubborn bulldog traits and we are looking for an experienced home for him. He’s neutered, vaccinated and chipped. Currently in Derbyshire but we are looking at foster or forever homes. 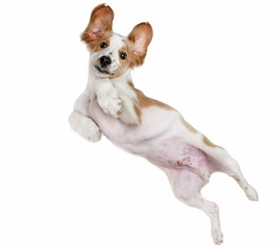 For further details regarding adopting a dog from JLP Trust Animal Rescue in Rotherham, South Yorkshire, please email enquiries@jlptrustanimalrescue.org.uk or telephone 07766 766252. 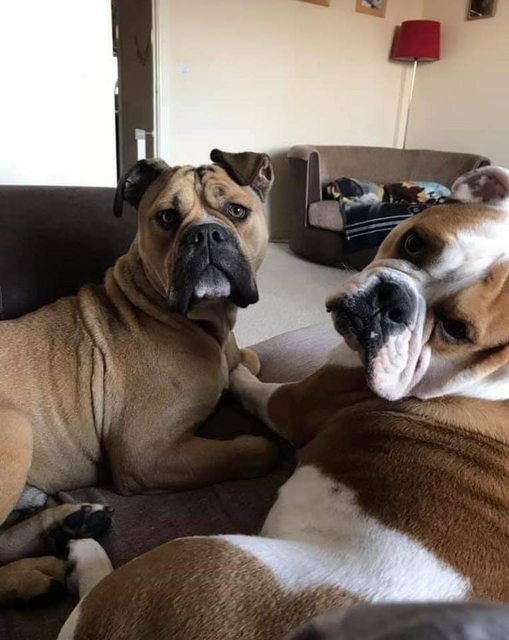 JLP Trust Animal Rescue is a foster based rescue in South Yorkshire (Rotherham and the surrounding areas) and we offer help to animals who need us to find them a new home for whatever the reason. 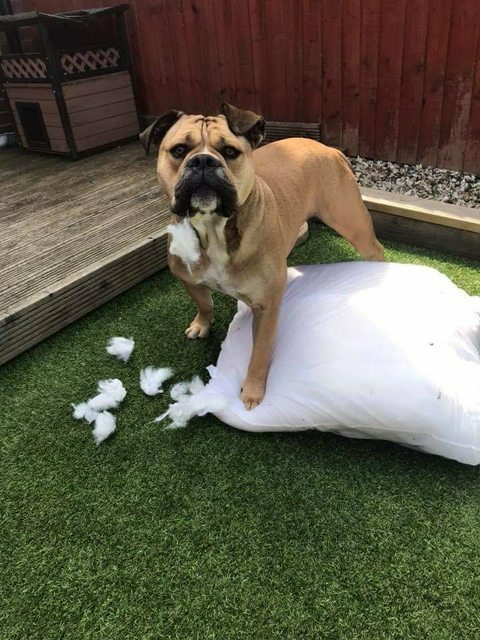 Sadly many animals, especially in the South Yorkshire area, find themselves needing a new home, abandoned or neglected through no fault of their own. We try to help as many of these as possible through providing help with rehoming, foster homes and help to owners wherever possible to ensure that the animals remain safe, looked after and loved until a new forever home can be found. For every animal we help we provide homechecks, vaccination, neutering and microchipping and lifetime back up if anything should go wrong in their new home.